During this holiday season, I feel it's important to thank the folks who have contributed to our lives. I placed my father at the Howell location in July 2018, and words cannot begin to express the gratitude I feel toward each team member whenever I walk into the facility. Pop had a difficult time adjusting when he first got there (as I'm sure most do). The seeming loss of independence and his recognition that he needed care was hard for him to handle, as he is a proud man who always did whatever needed to be done to provide for his family. Colleen G was absolutely wonderful during the admission process. Jen S has been looking out for and taking excellent care of my Dad. Amy is just an absolute delight. My father feels loved and safe there. Each and every single interaction I've had with any of the staff members has been excellent. I am a single mother with two kids. I have a full time job that requires frequent travel, and a chronic illness that can knock me out of commission for a few days on occasion. Taking care of my father for the past 18 years has been difficult. I would like you to know that since Dad has been at Brandywine, I feel that a huge weight has been lifted off my shoulders and I cannot thank you enough. Lisa has built such an incredible culture there and has such a great staff and I simply wanted to offer my thanks. Both of my parents lived here, my mom for only a short time but my Dad for many years. Before Dad lived there he was sad and lonely. Soon after moving into BW he a new guy. Happy, telling his stories, and thriving. The staff is nothing short of amazing, they were always joking around with him and he loved that. My dad was always happy and amazingly well cared for. Dad’s room was always clean and tidy. They offered so many activities that he was always doing something fun. My Dad passed recently and we will him AND our new family at Brandywine. Amy you are an angel like no others. Without a doubt being a resident at Brandywine in Howell N.J was one of the best decisions my family and I made for my senior years. You couldn't find a more caring work crew. The residents are friendly and we're offered so many choices for our entertainment. We have a movie theatre, card games, bingo,trivia , interesting guest speakers and so much more. Our chefs and servers make the dining room a pleasant place to be. Love our cooking classes, arts and crafts and demonstrations. You can always find something you enjoy doing. When looking for a place for my mother, myself and my brother visited several assisted living communities in the Freehold area. When we first walked into Brandywine, we noticed how well kept the facility was. We spoke to staff and felt that they really cared about the residents. We decided that this was the place for mom. The amount of help we received from day one was incredible. From the move into Brandywine right down to the care and attention the staff gave when my mothers pet became ill. I have never met a more caring and professional group of people. They went above and beyond to get my mother assimilated into the facility and become comfortable in her new home. This was no easy task as my mother can be very difficult. She now has several friends, participates in activities and has constant 24 hour care so we both can rest easy knowing she will be taken care of in the way she deserves. My 89 year old mom has been a resident of Brandywine Howell for two months now, and her family has seen her blossom in this very warm and lively community. She looks and acts much younger now, interacting with new friends and participating in activities to a degree that is way beyond what we predicted My brother and I were unnecessarily worried about her transition from her private home to assisted living. The staff spoke with my mother and me at length, taking the time to learn about her as a person. Mom was introduced to staff and other residents even before moving in, and I was given some very helpful tips on how to set up her new apartment for her physical and emotional comfort. Mom integrated easily into a welcoming community of residents and staff. Everyone seemed to know her by name from her first day! The nursing staff is excellent. When there was a change in health status I was notified promptly, and the plan of care was explained to me by the very competent nurse on duty that night. 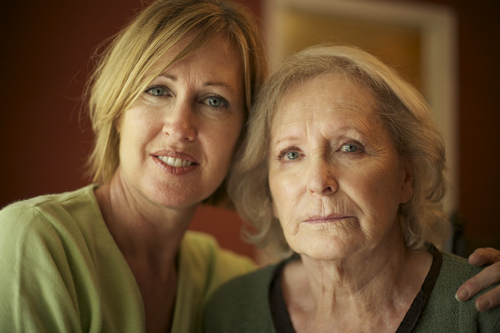 Both mom and her family felt she was in good hands during her very brief illness. Brandywine Howell is such a wonderful, positive place that I look forward to my visits. I have joined my mother and her new friends for lunch, Bingo, and coffee at the Bistro. I continue to be impressed by the attentive and personalized day-to-day care enjoyed by my mother - and all the other residents - based upon what I have witnessed there. My mother had asked me to look into assisted living facilities the latter part of 2012 and I checked out Brandywine and was very pleased with what I saw. Unfortunately, before my mother could visit the facility herself, she had some health issues and was ultimately diagnosed with dementia. Brandywine had availability on their Reflections floor so that's where my mom has been since early 2013. 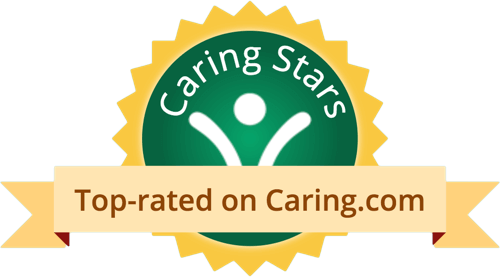 The facility is beautiful, well maintained and I can't say enough positive about the staff...wonderful, caring, attentive, responsive and very knowledgeable. My mom is proving to be very difficult yet they know what to do, calm her down....not something I could do in 1000 years. My wife was diagnosed with Alzheimer's 4 years ago. I visited many facilities before selecting Brandywine, which was the best decision I could have made. She began her stay at Brandywine in December 2016. I visit her everyday and have gotten to know the entire staff. The staff has done an excellent job in taking care of all her needs. I feel very confident that when I leave her everyday she will be well taken care of. I cannot say enough about the staff at the Brandywine in Howell. My mom suffers from dementia/Alzheimer's and it has been a very difficult time for my entire family. Anyone that is familiar with this disease can tell you that it is absolutely heartbreaking watching a parent/loved one slowly transition into a helpless shell of the person they once were. As a daughter, I always promised my mom that in her later years , she would come live with me. As her disease progressed, we had to make a change. We tried, as a family, every option out there. From hiring aides to live with her, hiring aides to live with us, adult daycare, moving into her house and trying to care for her myself...nothing was working. My mom was and still is my best friend. I researched every assisted living facility in both Monmouth and Ocean county, I felt I owed her that. I spoke with other family members, staff, compared notes and decided on The Brandywine in Howell. A year later, I can tell you that this is probably the best decision we've ever made. I no longer have that awful guilty feeling that I had for so long. I visit my mom almost every day. The staff there have now become part of my family. I am so grateful for each and every one of them. We have been faced with many challenges this past year, as my mom is aging and the disease is progressing but I can assure you that along the way, the staff at the Brandywine have gone above and beyond to keep my mom both happy and safe. I will be forever in debt to the entire team. The bottom line is..they genuinely care about each and every resident there!! We are very happy with Brandywine Living at Howell. The people are very happy, everyone is pleasant, and the staff is wonderful. I love the accommodations. They go on day trips, they have entertainment that comes in, they have exercises every day, and they do what’s in the news today. They have a movie theater. There’s a lot going on. The food is very good. They are very accommodating to their clients and the residents’ needs. If there’s something on the menu they don’t like, they will make something that they will like. Our mother has blossomed since her arrival at Brandywine in Howell. She has lived there for almost two years and my brother and I are so grateful for the compassionate, caring and nurturing staff members. The attention and genuine concern from the caregivers and nurses have given our mother a tremendous sense of belonging and security. At her times of ill health, the staff cared for her in a proficient manner. We are so relieved to know that she is safe and not alone. Everyone working at Brandywine goes above and beyond their sense of duty to help our mother maintain her dignity as an individual, while enjoying the comforts of home in the "family atmosphere." We appreciate the open communication from administrators, which also encourages us to be connected. That "family atmosphere" is a reflection of the wonderful people who work at Brandywine. The facility is so beautiful, elegant, and well cared for, our mother is proud to live there. She enjoys the fun events, daily activities, and variety of entertainment. Spending time with friends she has made, playing Bingo, and walking in the beautiful patio area are her favorite pastimes. She says there is always something to do. Living within the community setting at Brandywine has brought forth the best in our mother. Even her sense of humor has re-emerged. We feel that years have been added to her life since moving to Brandywine. For that we are very grateful. We can not thank everyone at Brandywine enough for giving our mother a positive, fulfilling, and "loving" living experience. She calls Brandywine "home." My father spent the last three years of his life living at Brandywine Assisted Living in Howell, N.J. When he first arrived he was recovering from a four -month stay in the hospital and an acute care rehab facility. He was confined to a wheel chair and was suffering from dementia. He was initially placed in the Reflections unit on the third floor. He received wonderful care from the nurses and aides and within three months he was walking with a walker and was dementia free. He was then transferred to the first floor with the general population. My father’s gregarious and outgoing personality returned and this is where he thrived. He made many new friends among the residents and staff. The nurses and aides were all very attentive and patient with all of his needs. He received physical and occupational therapy and he became more self-sufficient. He enjoyed the company of his new friends in the dining hall and he eagerly anticipated interacting with the high school and college students who were waiting tables. I truly believe that my father’s life was extended because of the care and life style that Brandywine gave to him. We could not have asked for a happier or more positive environment for Dad’s final years. I would highly recommend Brandywine in Howell to all of my friends and relatives. Thank you again to everyone from the cheerful women at the front desk, the maintenance staff, the administrators and all the volunteers for the quality care that you provide. My mom has been at Brandywine for a little over three years and since it is in my hometown, I visit at least twice a week. Whenever I walk in I am always greeted by the wonderful staff and charming receptionist. Everyone that works there is very helpful and always pleasant. My mom’s apartment is always clean and she loves it! I have lunch with her often and so do some of her friends who come visit her. They have a good menu to choose from and the food service is very good. The nurses administer my mom’s medications so there is never a problem, I take great comfort in knowing that she is very well cared for at Brandywine and would recommend the facility to anyone who has a loved one in need of assistance. My father, who is about to turn 91, has been at Brandywine Assisted Living At Howell for a number of years (10+) now. The facility is beautiful and immaculate with caring, dedicated, resourceful staff. The staff are always cheerful and helpful. There are constant activities to keep seniors engaged, social, and healthy. There are performers and events coordinated by the Activities director and my daughter, who is an international piano competition winner and Carnegie Hall performing pianist, performs for the residents regularly. When my father has become less able to move and do things for himself, they have obtained physical therapy for him to keep him in really good shape. In the back there is a beautiful pond with Koi/very large fish, flowering trees, and a wonderful barbeque patio area. I moved my Mom from Florida to another facility in Freehold in May which she was so miserable in and moved her to Brandywine in June. She quickly acclimated here due to the wonderful friendly staff and all the activity going on all day all week. I cannot say enough wonderful things about the staff here and you can tell the residents are all happy and well cared for. I know my Mom is in a safe caring facility that really cares for her and that is all that matters at the end of the day. I would absolutely recommend this facility for your loved one. Very nice place, clean, friendly and helpful staff, great social activities. You won't have to worry about your loved one here. S/he will be well attended! Brandywine Living At Howell is a senior living provider in Howell, New Jersey that offers residents Assisted Living. Contact Brandywine Living At Howell for more details on services and rates. What should caregivers and potential residents know about Brandywine Living At Howell?